We hope everyone had a great summer. We're gearing up for a busy fall season for our community. On Saturday, September 12th, our fall calendar starts off with a really big event - RiverFest at Nauticus in downtown Norfolk. 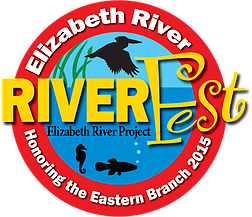 The Elizabeth River Project's annual festival is at a new venue and this year's focus is on the Eastern Branch including our Indian River. There will be Workshops, an Art Show, Kids Activities, Food Vendors, a Native Plant Sale, Eastern Branch Boat Tours, a Closing Party and Concert, and its all Free (except for stuff you may buy from vendors). The Friends of Indian River will have a table set up at the event to highlight our watershed. The event runs from 10 am to 5 pm, so come on down and join the fun. Thursday, September 17th, is our next regular meeting at Oaklette United Methodist Church, 520 Oaklette Drive, Chesapeake, VA, at 7 pm. Julie Finn of Meadows of Bliss will have a presentation on Attracting Butterflies with Native Plants. 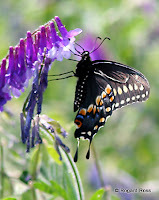 Really, who doesn't want butterflies? Come and learn how to bring them to your backyard. There will be light refreshments and door prizes after the presentation. The following Saturday, September 19th, from 9:30 AM to Noon, we'll have our Adopt-A-Road Cleanup and International Coastal Cleanup At Indian River Oaklette Bridge We'll be cleaning along Indian River Road with a special emphasis on the shoreline around the Oaklette Bridge as part of the International Coastal Cleanup. This goal is to collect trash that will otherwise get washed into the river and impact wildlife. Meet at the side parking lot of Oaklette United Methodist Church. The city will provide garbage bags and orange safety vests. We'll have water and a some snacks available. Please wear closed-toe shoes, a hat and bring work gloves and other items that may be useful. Participants under 18 years of age must have adult supervision. For the rest of the year, we'll have a full calendar of talks and volunteer events. We hope that everyone will be able to make it out to at least one volunteer event to help improve our community. In November, we will also have a boat trip for members on the Chesapeake Bay Foundation Education Boat out of Pleasure House Point in Virginia Beach. Space is limited and we'll have details available at the next regular meeting.